Due to the weight of the appliance Falcon cookers can only be delivered via AgaRangemaster's Direct Home Delivery Service. Please do not hesitate to contact us to check the earliest date for delivery to your home. The Falcon 900 deluxe dual fuel range cooker boasts a multifunction oven, a tall fan oven and a roll-out grill to compliment your cooking. 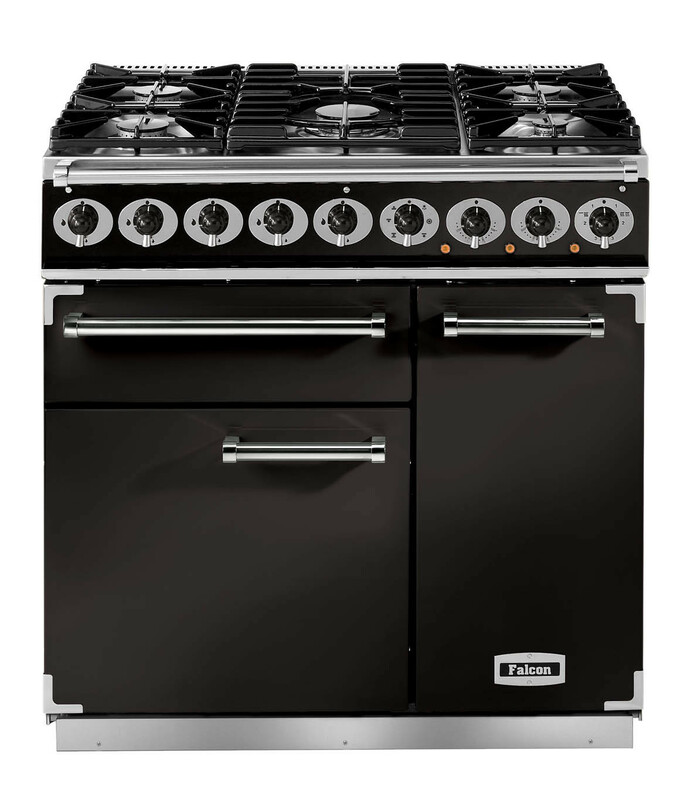 With the dual fuel version you also get 5 burners, including a 5kW burner in the centre - a powerful appliance which shows just how a 90cm cooker can live up to its full potential. Hover over the images below for function descriptions.